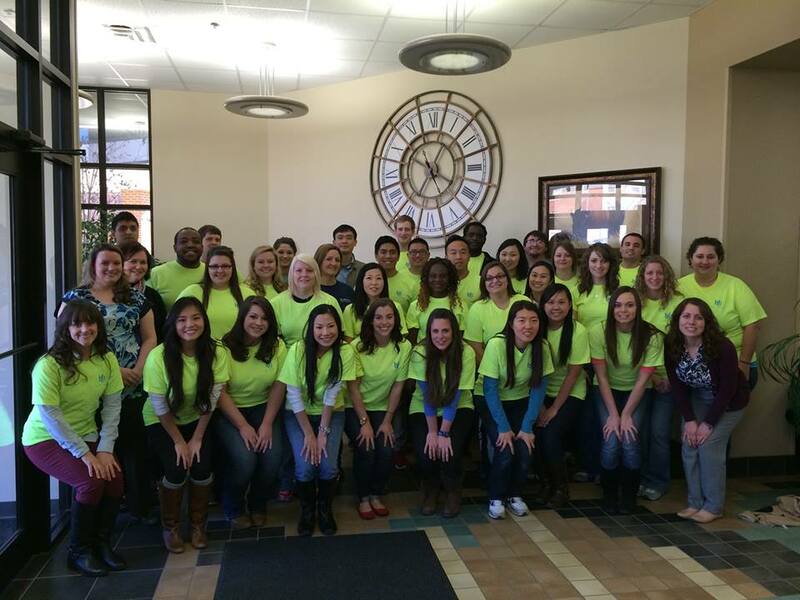 There are two chapters of the Student Society of Health-System Pharmacists in Arkansas. 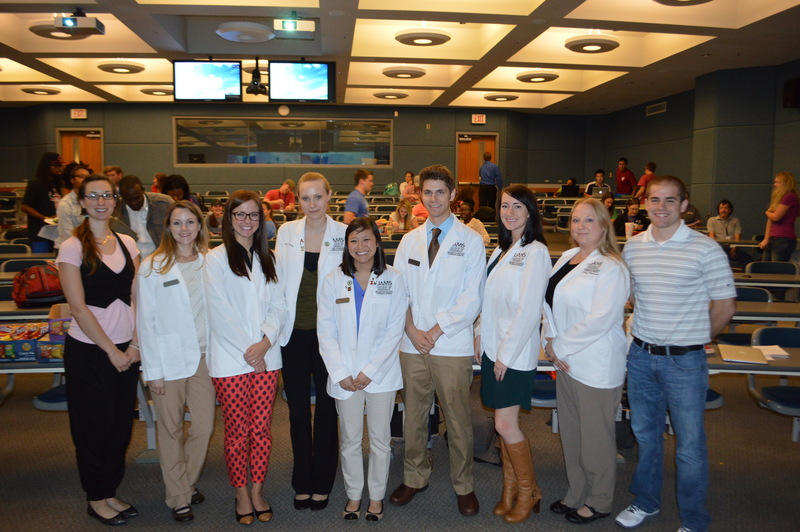 The Harding University and the University of Arkansas for Medical Sciences (UAMS) colleges of pharmacy both have SSHP Chapters. Each chapter president serves as a member of the AAHP Board of Directors. Each chapter is invited to contribute information to this page to keep members up to date on the happenings of their chapter. Congratulations to the UAMS and Harding SSHP chapters that have earned official recognition from ASHP for 2014-2015 by promoting membershp; stimulating interest in health-system pharmacy careers; and encouraging career development and professionalism. For view a complete list of officially-recognized SSHPs, click here. In accordance with the American Society of Health-System Pharmacists (ASHP) Pharmacy Practice Model Initiative (PPMI), Harding University College of Pharmacy Student Society of Health-System Pharmacy (HUCOP SSHP) created a developmental project to provide education for technicians in the workforce. HUCOP SSHP organized a one day Pharmacy Technician Certification Board (PTCB) review course at the AAHP Fall Seminar in Little Rock and the APA Convention in Fayetteville in 2014. During the past four years, over 40 technicians have attended the review course and every participant who has taken the board certification exam has passed. Another review course is planned for October 2014 in Little Rock at Fall Seminar. In October 2013, SSHP participated in activities supporting Susan G. Komen’s Race for the Cure. A bake sale was held to raise money for the Susan G. Komen foundation, and faculty and students participated in a Pink Out Day where everyone dressed in pink from head to toe. This was a fun way for HUCOP to come together and physically show their support for the Susan G. Komen foundation. Also in October, HU SSHP held its annual clinical skills competition. This competition consisted of teams of two students who worked together and utilized their clinical skills to assess and recommend treatment for a patient case. Twenty-four teams participated this year.Fourth year students Alyssa Laurich and HyeJin Son won and went on to represent HUCOP at the ASHP2013 Midyear Meeting in Orlando. Fall semester is always a busy and exciting time at Harding University College of Pharmacy. The HU SSHP will start the year with an orientation snack for the P1 students during their orientation followed by a membership drive the last week of August. The 2013-2014 membership consisted of 81 student pharmacists and we hope to exceed that number this year. (L to R) Officers and members of the UAMS SSHP: Madalyn Van Valkenburg, Alicia Sutterfield, Morgan Newton, Laura Finlay, Tiffany Chiu, Jeremy Hanner, Heather Clarke, Misty Blanchard, and Levi Ellison. At UAMS, SSHP activities for the 2014-15 school year are underway. Their membership drive started in august and is ongoing. Under the leadership of Laura Finlay (P2), our current president, students will be continuing outreach in the Promise Neighborhood, a medically underserved area of Little Rock. They have developed educational programs covering hypertension, diabetes, smoking cessation, and topics for kids. Other upcoming activities include the 2014 Clinical Skills Competition, residency information sessions, fundraisers, and a great speaker line-up.